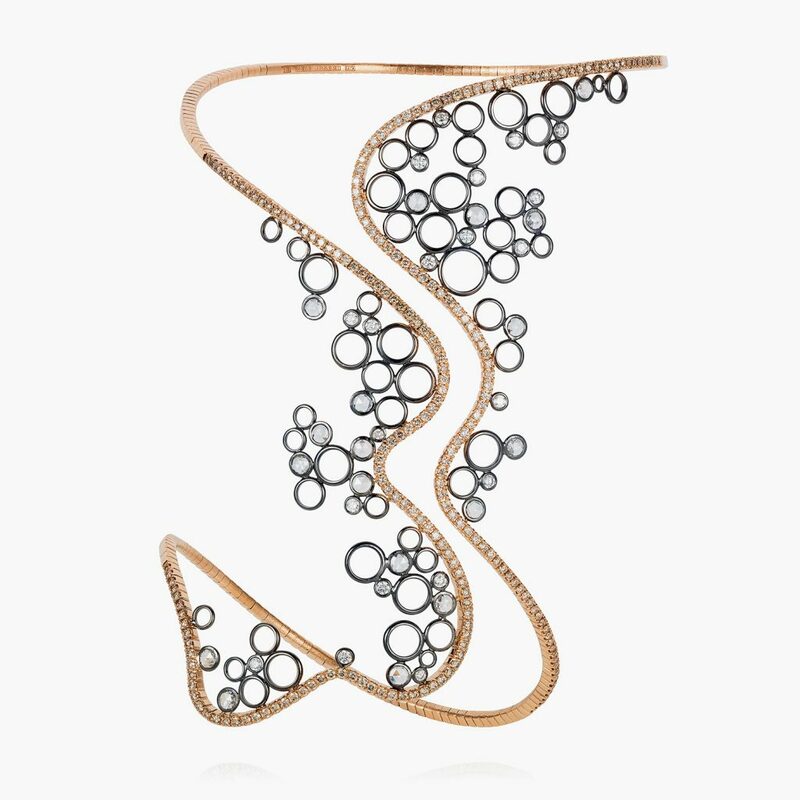 Artfully handcrafted from 18k rose and black gold, this understated design features an open-cuff silhouette. 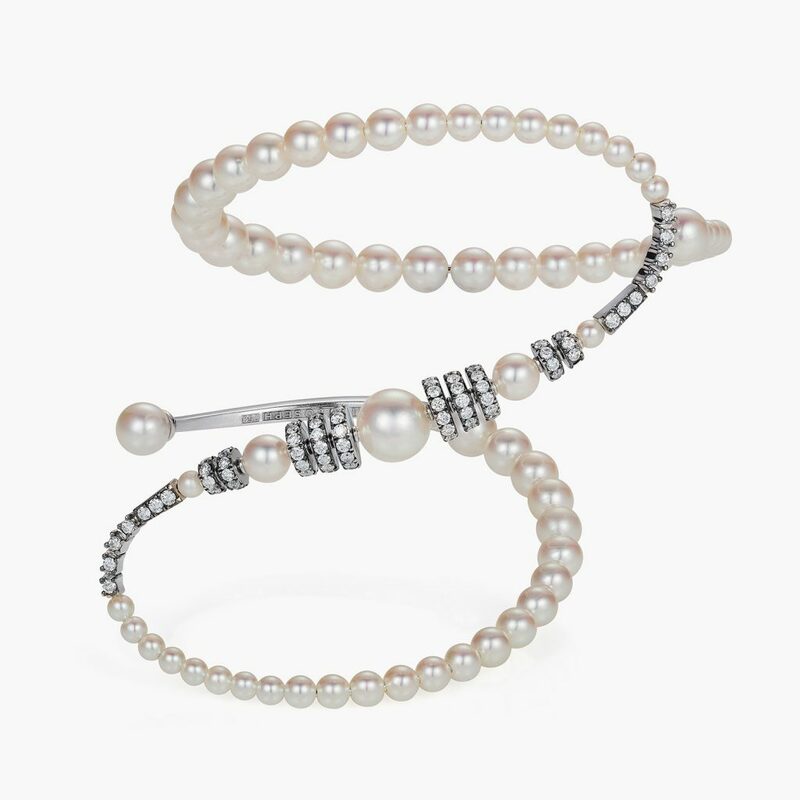 Dotted with white diamonds to add a touch of glamour. Composition: White diamonds 1.33cts & Brown diamonds 2.33cts. 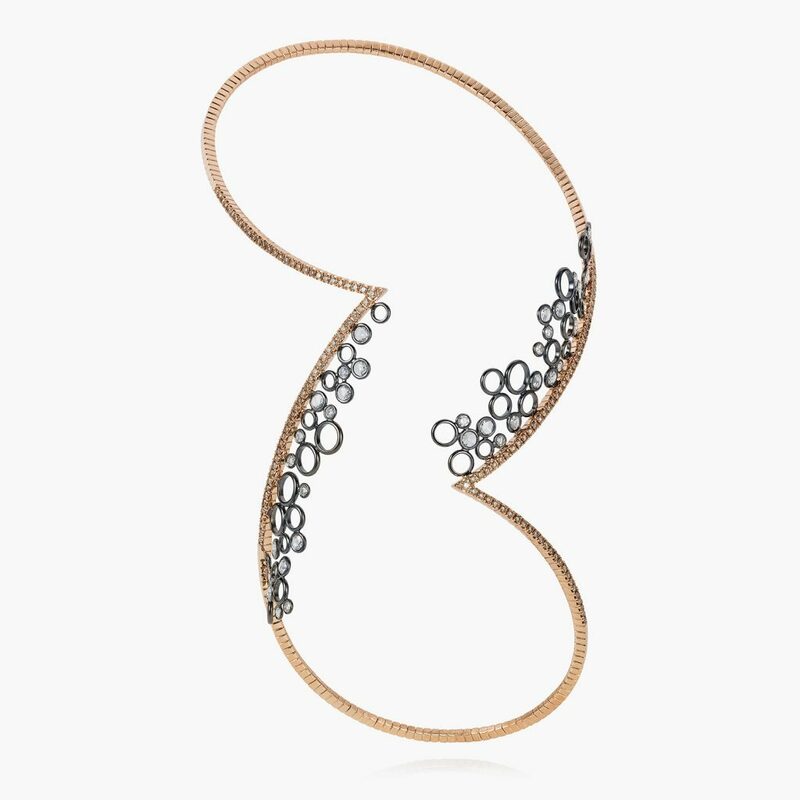 To keep up with Mike Josephs signature open cuff designs, this alluring 18k rose and black gold bracelet is as gorgeous with off duty jeans or worn with refined evening gown. Composition: White diamonds 1.32cts & Brown diamonds 1.17cts. Composition: White diamonds 0.5cts & brown diamond 1.81cts. 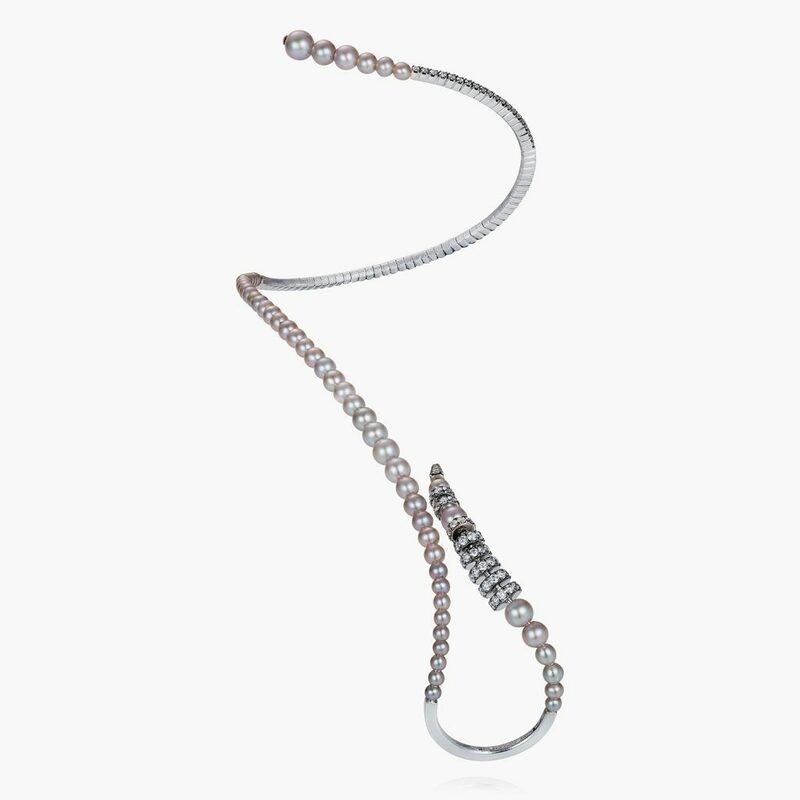 The sensuous contours of this bracelet characteristic of the Waterfall collection pairs great with an elegant night out. 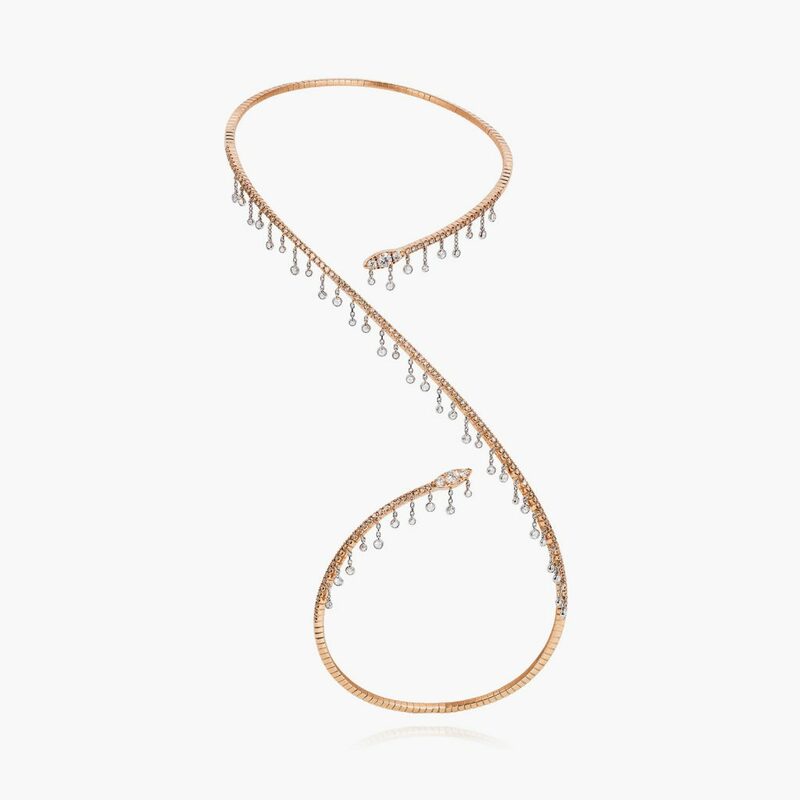 Show off your delicate strands of this glistening bracelet with an artistic new way of wearing rose gold and white diamonds. 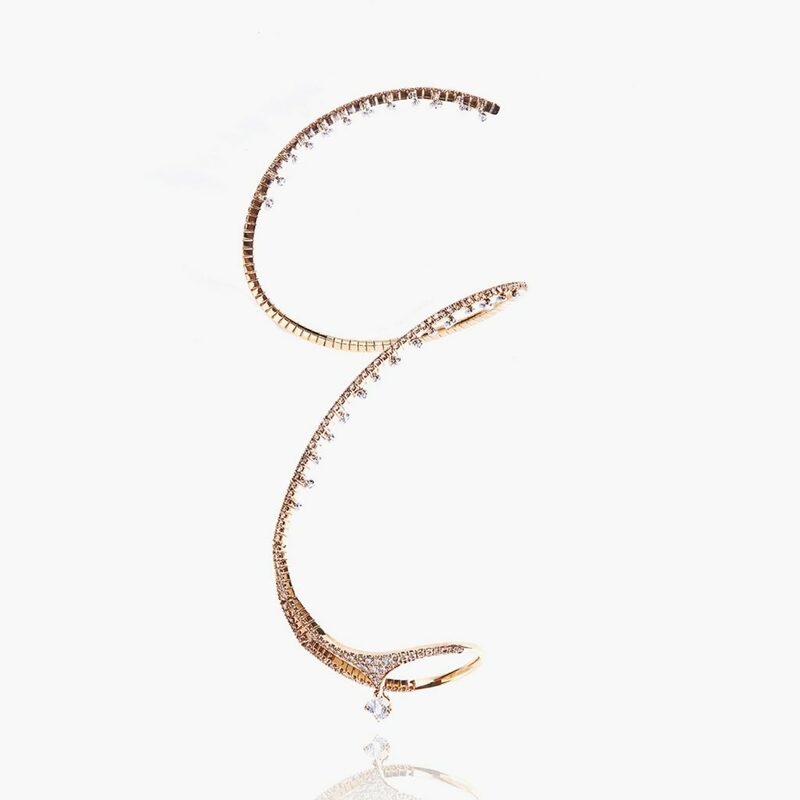 Composition: White diamonds 0.98cts & brown diamond 1.18cts.